“Advances in Genetics Research” presents original research results on the leading edge of genetics discovery. Each article has been carefully selected in an attempt to present substantial research results across a broad spectrum. 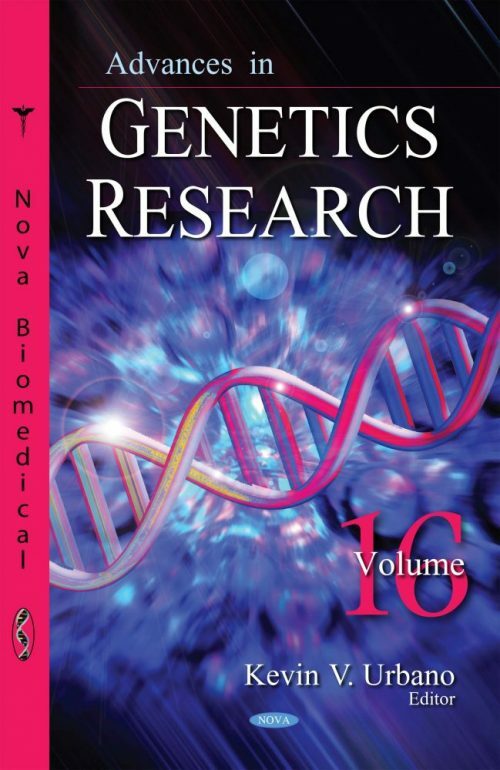 In this continuing series compilation, the authors present and discuss the most recent Y chromosome progress within the main fields of genetics; male infertility associated with TTTY gene family deletions in the Y chromosome; genetic diversity assessment by random amplified polymorphic DNA; the effect of habitat fragmentation on genetic diversity; the use of HeLa cells as a model for studying DNA damage and repair; the molecular genetics of polycythemia vera; recent advances and molecular background of microRNAs in disease; papaya viral diseases; phylogenetics and phylogeography of large neotropical rodents by means of mitochondrial genes; and omics technologies applied to prokaryotes.